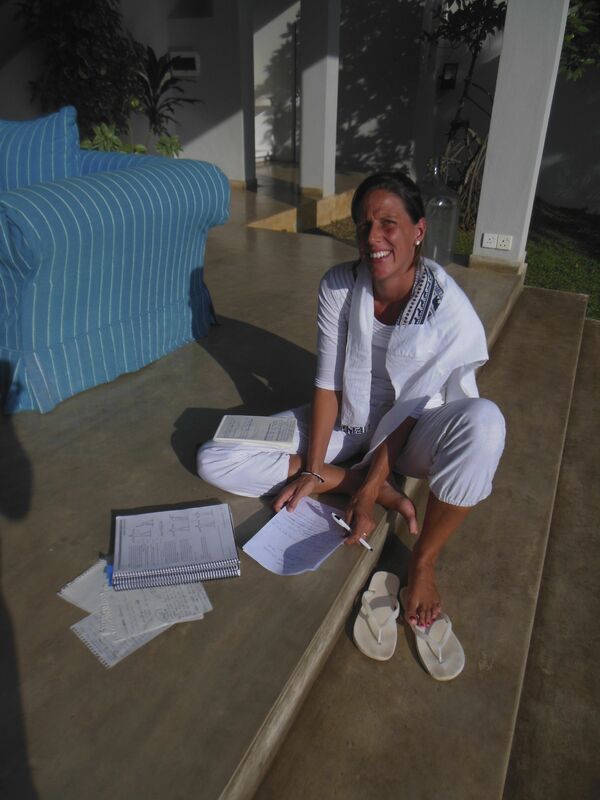 The start of our Level 1 teaching training began near Negombo. 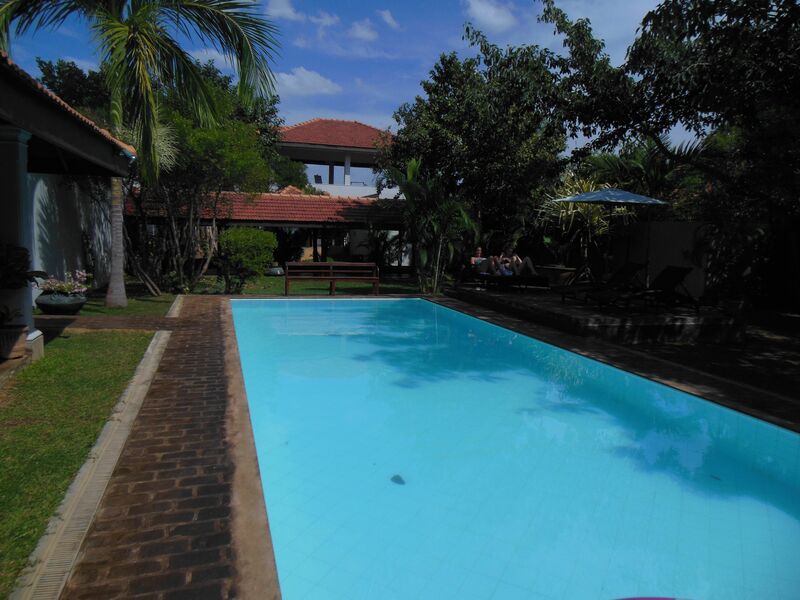 We were staying in the wonderful Villa Hundira, a luxury villa situated on the Negombo Lagoon, which was just a 45 minute drive from Colombo (since the newly opened airport highway). Villa Hundira easily accomodated our 9 students and 3 teachers, all sleeping in comfortable luxury air conditioned rooms. 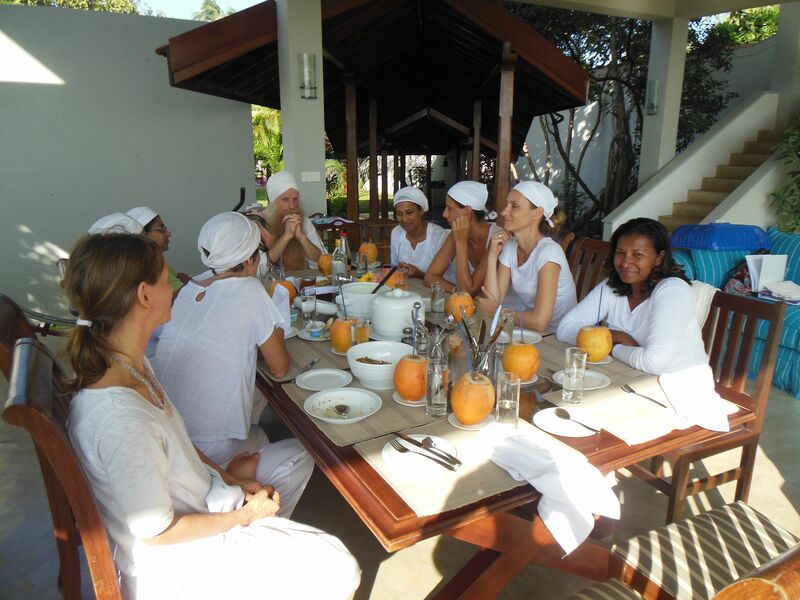 Wonderful vegetarian Sri Lankan village food appeared at each meal time, lovingly prepared by the Villa Hundira cook. 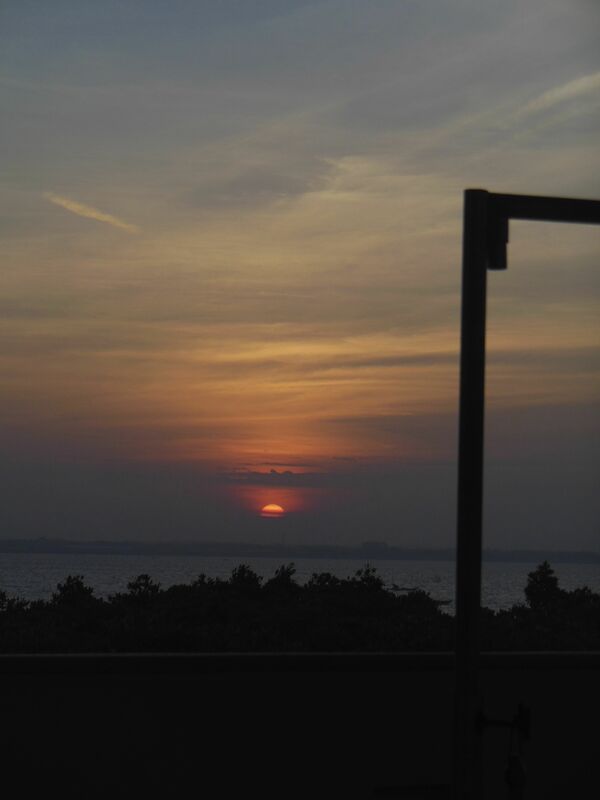 Early morning Sadhanas, starting at 5am were a treat as all the yoga and classes took place in a perfect space, an elevated pavillian overlooking the Negombo lagoon. To view and experience the sunrise was a magical experience and a rare treat. We had the added bonus of a beautiful swimming pool for students to enjoy during the breaks between their classes. Thank you to all the staff who looked after us so well. Late afternoon on two days we walked along the beach and finished off our day with yoga at Mary’s house, West Winds, which was another delight to our senses, beautiful sea breszes and stunning sunsets. 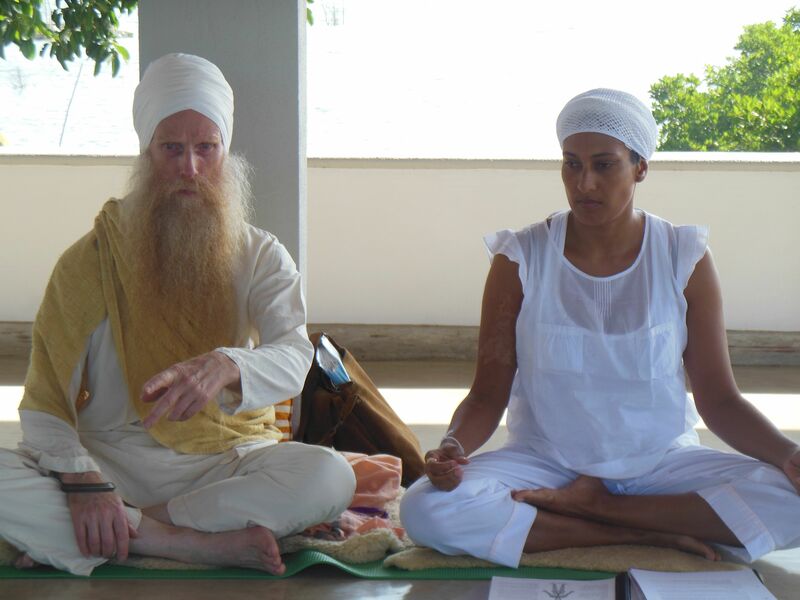 We began every day with Sadhana, a devotional practice of Kundalini yoga and chanting mantras. 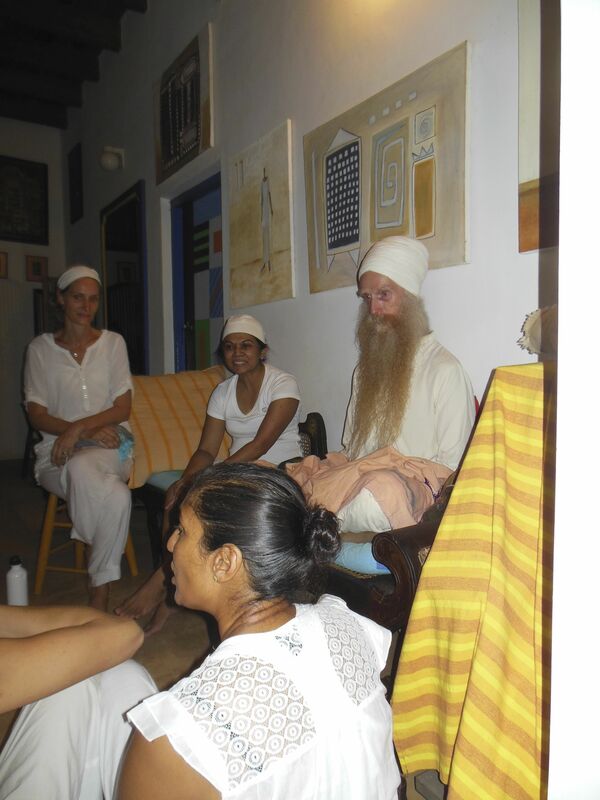 We followed this with talks and discussions on various topics such as pranayamas, meditation and yogic anatomy. During the Retreat one of the themes we explored was Life Cycles. These are the patterns which develop our mind, body and attitude over our lifetime. The cycle of consciousness changes every 7 years, which means we need to keep developing our skills of being present and connected. The Cycle of intelligence means that our brain upgrades how we process information every 11 years. Finally the Cycle of Life Energy, which means we need to change our life style to be more conscious of what nourishes our bodies during each age. For example you cannot keep eating and drinking like you were as teen ager at 56 otherwise your health will really suffer.